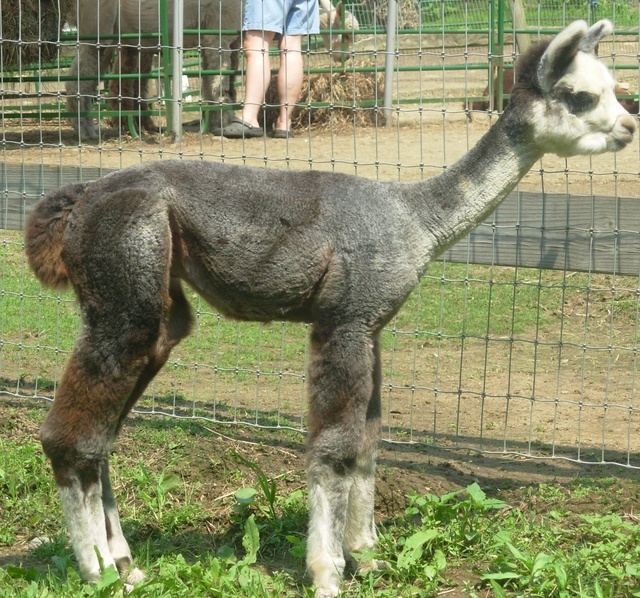 Openherd: Round Hill Alpacas is a farm located in Coventry, Connecticut owned by Randy and Cindy Hall. This boy is very special! 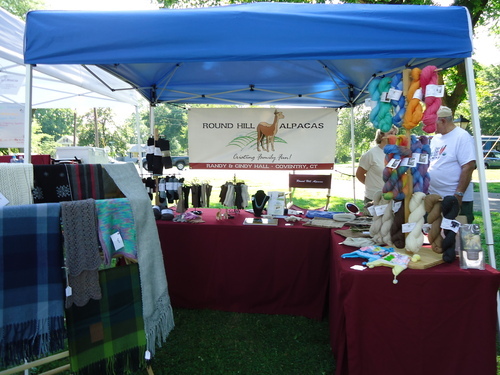 Round Hill Alpacas is located in Coventry, CT. We love learning about these wonderful animals and find that they bring great joy and curiosity to many people. Randy and Cindy are often asked "why are you raising alpacas?" This question gives us an opportunity to talk about a cause near and dear to our heart! In a few short years, Creative Living Community of CT www.creativelivingcommunityofct.org will be hosting some of these beautiful animals as part of the farmstead. CLCC's mission is create a shared, inclusive living experience for individuals with and without developmental disabilities in a farmstead village in eastern Connecticut. CLCC believes that a new model is needed, where locally rooted communities are interdependent and all members are valued for their unique contributions. The care of alpacas will be a great asset to the program. The animals will provide many recreational as well as vocational opportunities. 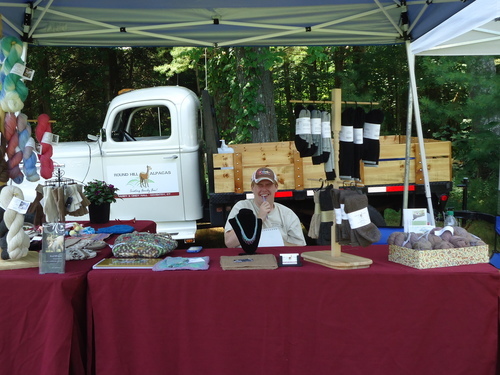 Alpaca products made on the farm are sure to be desired items! Can you believe it is April !!!! Spring has sprung, it is getting warmer, the Alpacas are back from Peru. Sheering Day will soon be upon us....Hector is sharpening all his shears and ready to go!!! !